WordPress, which is a very commonly used CMS, powers a third of the world’s websites. An advantage of using WordPress is that even the premium features are available at reasonable prices. 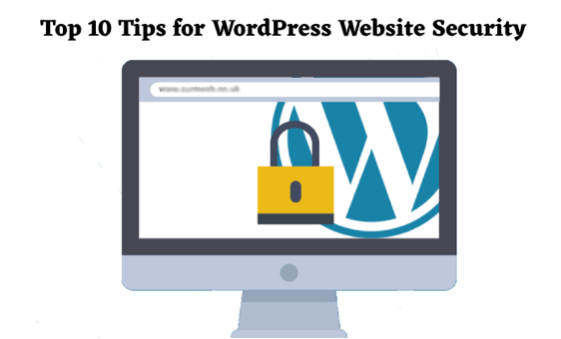 Setting up website lockdown to restrict access to your WordPress website is critical to ensuring proper website security. Hackers would try their best to crack into your system by using different passwords, but by setting up login limits brute force attempts can be prevented. Whenever the number of login attempts exceeds this limit, you’d be promptly notified. Email login to WordPress websites helps prevent security issues. So, it’s always advisable to choose your email for your login rather than opting for a username. This is simply because usernames are easy to crack compared to email IDs. Always opt to use two-factor authentication at the login page. This would want anyone who tries to log in to provide two different components while logging in. The components could be anything- password followed by a secret code or question, a set of characters etc. It could be a bit irritating at times, but since security is of utmost importance, it’s always good to go for two-factor authentication. Password management is pivotal to website security. Make sure your WordPress website is secure by changing your website password regularly. You also need to ensure that your password is always strong and difficult to crack. Go for passwords that are a mix of small and capital letters, plus alphabets and special characters (non-alphanumerical characters). Replacing the login URL with a new one would help you protect your WordPress website from almost 99 percent of direct brute force attacks. If you retain the direct URL of your login page, it would be like giving an open invitation to hackers to come and hack your website. Delete all the old plugins that you are no longer using. Such old, unused plugins can be used by attackers to gain a backdoor entry into your WordPress website. It’s always good to add a password to the wp-admin directory of your WordPress website. That helps secure the admin area in particular and the WordPress website in general. Install firewall software to protect your WordPress website from external threats. There are many options available. Choose one that fits your needs and gives comprehensive security. A robust firewall software is a must for the security of your WordPress website. SSL (Secure Socket Layer) certificate is critical as regards data security. Encrypt and secure your website data and the data of the users who access your website, with SSL certificate. You might have taken all necessary steps, but still, data breaches can happen. It’s here that the relevance of having data backup comes in. Have data backups, update them regularly. This would help you restore your website fast in case of a security breach. Website security is very important because disaster can happen to everybody no matter if you are a professional or newbiew. A websiter owner works a lot on his website to achieve success and she/he can’t afford to lose all their hard work. Hackers can hack your website if you don’t have proper website security. The tips you have provided in this post will surely help to secure our Wordpress website. Previous post: What does On-Page and Off-Page SEO Service Providers Offer?